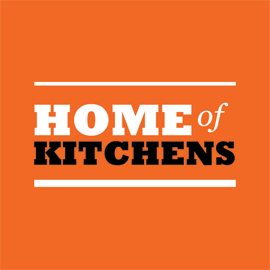 At the Home of Kitchens, we can convert your dream kitchen, bathroom, laundry, wardrobe, office or garage into reality. The possibilities are endless, providing you with a quality fitout at an affordable price. Whether you want a DIY option or a professionally installed kitchen, our designers will work with you to create the perfect solution for your space. Plyboard's cabinets are constructed from quality Australian made moisture resistant (MR) board. We use only the very best European cabinet hardware, including soft close hinges and soft self closing drawer slides. Unlike other kitchen manufacturers, Plyboard is not locked in with any one supplier of bench tops or doors, so we can provide you with any colour, style and finish you desire at highly competitive prices.